Word count : is your Fantasy novel too long ? It’s Thursday! Let’s talk about writing, shall we? As you may know, I am currently revising my WIP The Last Queen, and I have been struggling with a high word count. I wrote the first draft of this YA Epic Fantasy novel without really thinking of its length (I just wrote the story I wanted), and now I have to cut down some words if I don’t want to make agents cringe when they read my query letter. So it seems that I’m far from being the only Epic Fantasy writer struggling with a high word count. Yes, people do buy books with high word counts. I’m one of those readers who are not afraid to read a super long book. However, these books are either AMAZING like The Historian, or they are, well, too long. G.R.R. 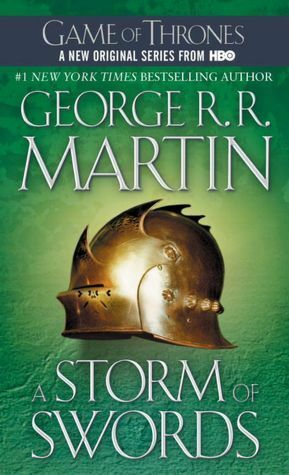 Martin can publish A Storm of Swords at 424k words because he is an established and bestselling author, but I still think this novel was way too long and should have been edited down. The same goes for The Passage by Justin Cronin: 300k words and half the book could have been cut out without hurting the story. So if you write Fantasy and you’re trying to get agented or published, nothing stops you from querying a 150k + words manuscript. 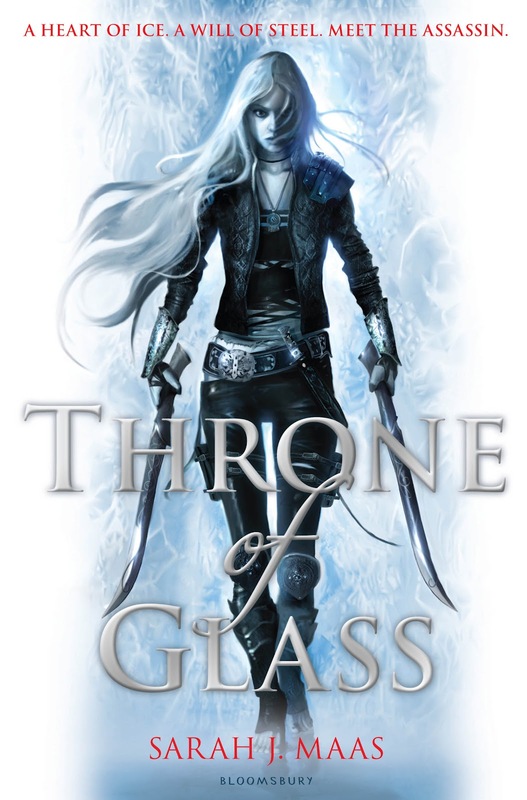 YA Epic Fantasy author Sarah J. Maas did just that with her 240k-word novel Throne of Glass back in 2008 (read the story here). And guess what? She got rejected. She did eventually get an agent with her manuscript at 145k words. And guess what? She got rejected by editors. Throne of Glass was finally published in August 2012, with a final word count of… a little over 100K words. The moral of this story? Listen to the advice of professionals. Whatever the genre of your novel, research the word count expected by agents and editors. And follow their guidelines, even if it costs you. Editing your Masterpiece is part of the writing process. So is getting rid of unnessary plot points and extra words. Do it. It might save you time, and the pain of being rejected. Finally, if you’re curious about the word count of popular Epic Fantasy novels, you can check them out here. So what do you think? Are you struggling with a high word count? Do you think agents and editors should be more flexible debut authors and their word counts? As a reader, do you enjoy reading long books? I’d love to hear your thoughts in the comment section! This entry was posted in About writing and tagged A Song of Ice and Fire, A Storm of Swords, Elizabeth Kostova, EM Castellan, epic fantasy, epic fantasy novels, fantasy, GRR Martin, Justin Cronin, Sarah J. Maas, The Historian, The Passage, Throne of Glass, word count, writer's tips, writing, writing tips. I write historical, not fantasy, and I didn’t even know till last year that modern writers are supposed to count words and try to fit their books into some arbitrary set number of words. I highly doubt all the great writers of yore set out to write their classics with a word count in mind, or freaked out if their book finished at only 45,000 words or was as high as 500,000 words. If you’re a good writer, your book will be as long or as short as the storyline dictates. I also was advised to leave word count out when querying a deliberately long book, and told that agents in Great Britain and Ireland aren’t as allergic to long books as North Americans. My first Russian novel, which I wrote between 1993-2001 (ages 13-21) and then spent almost a year editing, rewriting, revising, and polishing a decade later, was originally 342,000 words, a bit over 350,000 at its height, and is finally edited down to 335,000. I think I could shave off a bit more, but not so much it would Magickally shrink to all of 400 pages. I always deliberately planned and plotted it as a saga with many characters and storylines. The first draft of the sequel is 406,000 words, and I’m guessing the third book will be around 450,000 and the prequel about 500,000, due to how many years and storylines will be covered. My contemporary historical Bildungsroman, set from 1959-74, was 397,000 words in the first draft, and edited down to 387,000. It would’ve been somewhat shorter, but I had to write in left-handedness for a bunch of the characters. As a sinistral chauvinist, I’m embarrassed I wrote the entire first draft without my trademark! I love long books, and have heard from so many people who say they’d love to see more doorstopper sagas these days, books you can climb into and live in for a few weeks. I’m not the only one who’s tired of books that are all of 288 pages long (seriously, what is up with so many modern books having that length?). It’s really not fair that many powers that be assume people who haven’t been published have no idea how to write a deliberate saga and that no book should be over 400 pages, even if it’s a very complex storyline and takes place over many years. Do these modern-day word count police think books like Gone with the Wind, The Thorn Birds, the great Russian novels, and sagas by historical writers like Leon Uris, Herman Wouk, and James Michener would’ve been better chopped up into pretended series or with hundreds of pages hacked out? But are you writing for yourself and maybe a niche market, or are you writing to get published? Citing yourself as a counter example may work for people who are only concerned with the art and expression of it. But some people, myself included, want to make a living at it and are willing to compromise many of my preferences if that is what it takes. I personally would never compromise my principles just to have a more commercial or traditional path to publishing success. It makes no sense to hack out hundreds of pages for no other reason than to fit a book into an arbitrary length to try to please agents or readers with a short attention span. Some genres, like historical and fantasy, traditionally have been very long, just as genres like YA contemporary and police procedurals are more likely to be short. A lot of agents are out of touch with what the reading public wants, hence my decision to use indie, electronic, or self-publishing for my deliberately long sagas. Like I said before–huge roadblock for me. I have to agree with Carrie-Anne that I think they should be a little flexible on word count. If they see that a word count is high but love the premise, I think they (along with editors) should give it a second look before sending it to the rejection pile. Pretty much the only way to cut mine down another 17k would be to cut out some of my main characters completely. This is the first book in a series that covers the lives of five characters (and many minor characters that fit into the big picture of the plot). I’m seriously at a loss. I’ve submitted to Harper Voyager in the hopes that since it is a digital press series they will be more lenient on word count but finding an agent is still going to be tough. My best bet is probably going to be self-publishing after I finish exploring the small press options. In my opinion, if you have to compromise the story you wrote just to get an agent to potentially sell it to a big publishing house, then it isn’t worth it. The story is what matters to me, not the money. Despite length constraints, the lengths given as ideal for fantasy novels are still a little longer than other genres, and a lot of that has to do with Tolkien, who made ‘epic’ commercially acceptable in ways that it had seldom been before. The reason why the uber-epics are frowned upon is partly economic; longer books cost more to produce, and that’s true of e-books too because part of the production cost is proof-editing. The other main issue is reader appeal; unless the author is a known quantity, popular readership can be put off by an over-long doorstop. Put it this way – even Tolkien couldn’t get The Lord Of The Rings published as it was. Writing is a learning curve, even for experienced writers; and the cuts editors demand are usually with reason. To be marketable in today’s environment, particularly, a book has to be properly structured and tightly written. It can still be epic in length and scale of story – but the structure has to be right, and that is usually the challenge. The biggest mistake is to write for length – for a word target – without first getting the structure spot on. It’s this that editors usually pick up. I agree that would-be-published writers tend to have high word counts because they don’t know how to tighten their writing yet. I know that’s my problem 🙂 Thanks for a great comment! Those word counts worry me a little because the adult, epic fantasy I’m shopping around is only at 75k. I intend it to be the first in a series but I hope that low word count doesn’t scare agents away from it. 75k does sound a bit low for an adult epic fantasy, but I think what scares agents is high word counts 😉 An adult novel, regardless of genre, is any story above 70k, so I think you’re ok. Good luck with the querying process! Thanks for the info and links. It’s always nice to get a sense of what to aim for! Although I’m not a fantasy writer, epic or otherwise, I have been curious about word count as I revise my MS. My genre is women’s lit, and probably going to end up 76 to 80k. Bell in his book “Revision and Self-Editing” says some people are “putter inners” and some people are “taker outers” meaning, some people will write lean and sparse and need to add to their stories, others are naturally more verbose and will have to cut “their darlings”, as Stephen King would say. I’m not sure which is more difficult but know I tend to be a “putter inner”. I find, as a reader (and a speed reader at that), I would personally prefer a longer novel: I often finish books on the same day I buy them. It’s kind of frustrating. Also, as an aspiring writer, I am painfully aware of word counts. I’ve been working on a particular project for nearly nine years. It’s at slightly over 120k in it’s 6th revision. I’m afraid that it’s just going to get WAY past that mark and I won’t be able to cut it down and I won’t be able to split it into more than one piece like Tokien (whom I’m a fan of) did to LoTR. I wish editors and agents were more flexible but I can see the pragmatism of the restraints. Even if I don’t like it one bit. It’s just I’ve never been good with dealing with rules while writing.